We need to explore the stance often and align it. 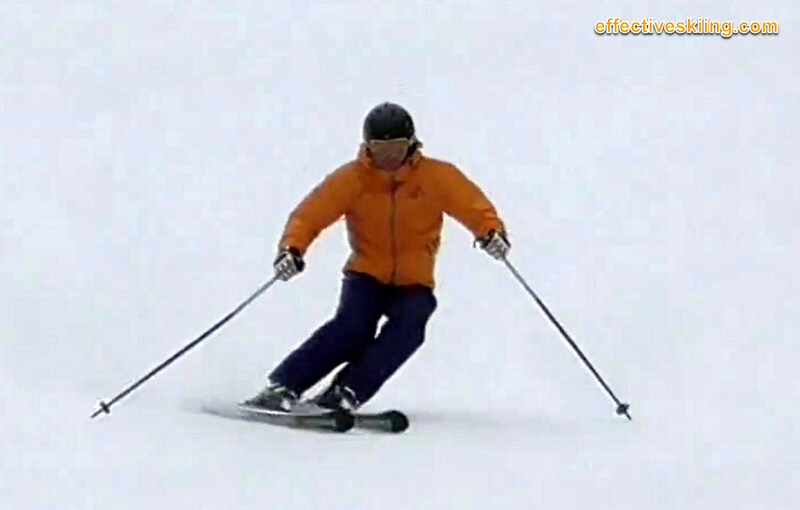 This is a great season starter drill, no matter where your skiing is. The idea is pretty simple: we explore the extremes (like too wide and too narrow or too tall and too low) and then settle on what is good. Start short skidded turns on blue. Width - start with a very wide stance for a few turns, mid-stance then narrow stance for a few turns and settle on a "normal" comfortable stance. This should be on the narrow side, with the feet at most a boot width apart. Erect - start with a very tall / erect / straight / long legs stance for a few turns, then get very low and flexed for a few turns, then settle on a "normal" comfortable stance. See Flexing. Bent forward - start with a very tall / straight upper body for a few turns, then bend forward at waist a lot for a few turns, then find and settle on a comfortable stance in-between, with the back/shoulders rolled forward. Fore/aft - do 4 turns on the heels and 4 turns very forward, then continue with the rest in a middle centered stance and focus on recentering between turns. See fore-aft. Based on my experience, the width is the hardest, as most skiers today ski with a very wide stance. Skiing with a narrow stance is pretty hard, because you feel like you'll lose balance and you tend to put some weight on the inside ski. Remember that we always ski and balance on the outside ski and using a narrow stance actually helps with that! Viewed 422 times ( | Print ) this page.